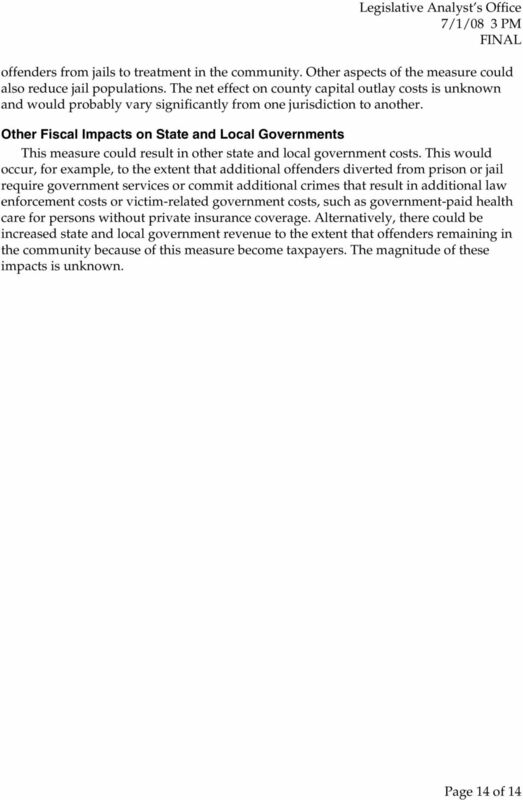 Proposition 5. Nonviolent Offenders. Sentencing, Parole and Rehabilitation. Statute. 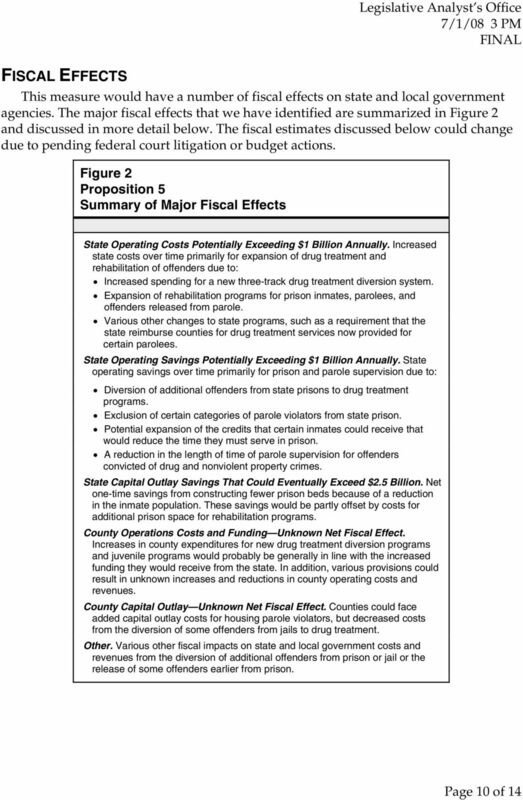 Download "Proposition 5. 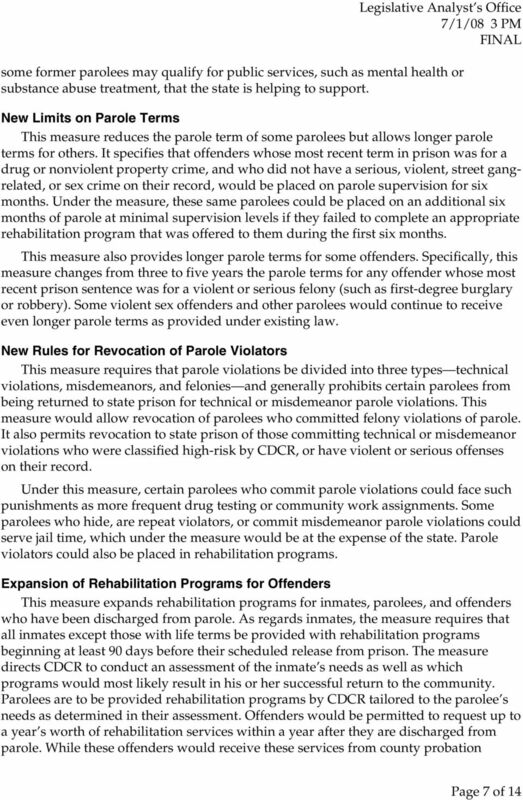 Nonviolent Offenders. 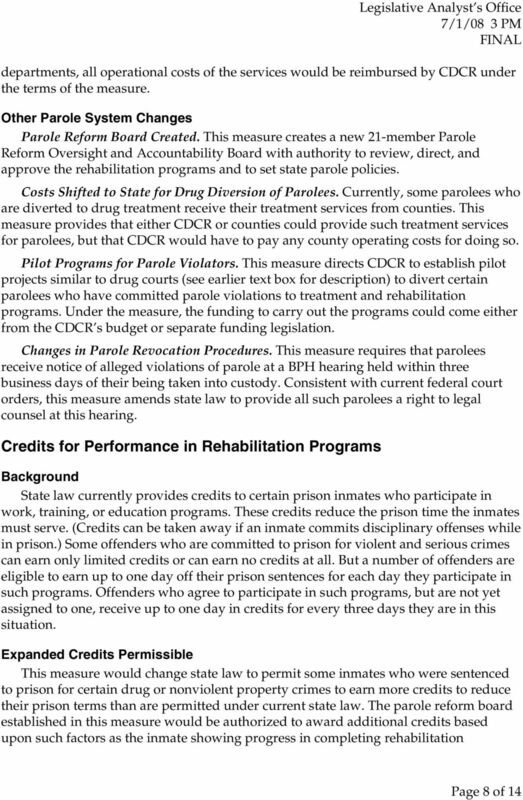 Sentencing, Parole and Rehabilitation. Statute." 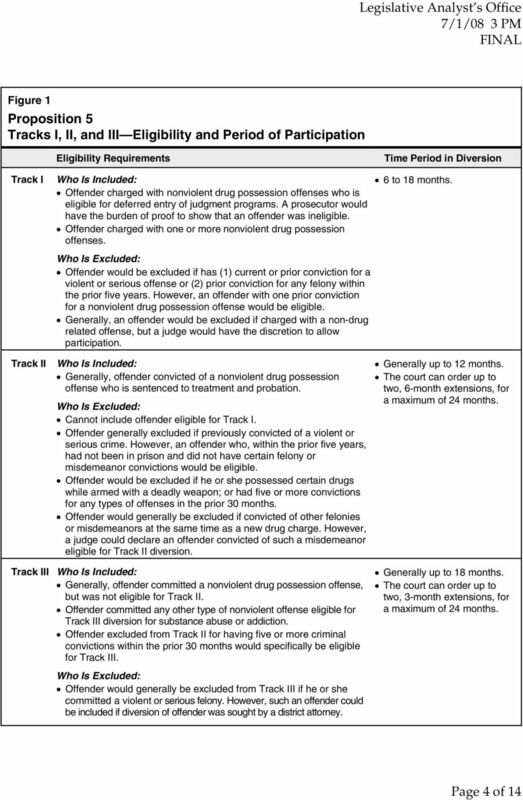 NONVIOLENT DRUG OFFENSES. 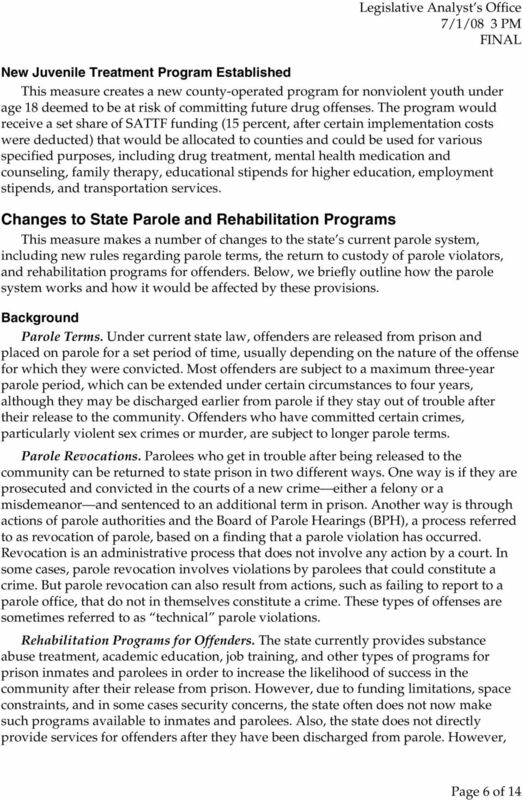 SENTENCING, PAROLE AND REHABILITATION. AB 109 is DANGEROUS. 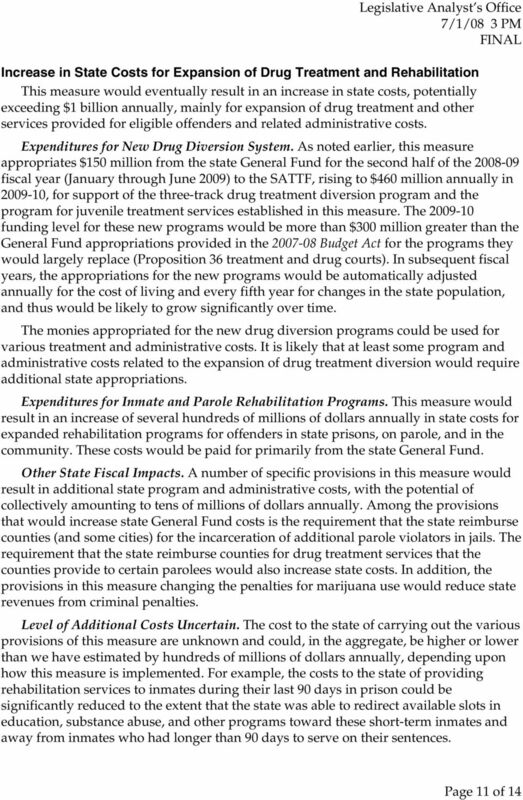 Governor Brown signed AB 109 the Criminal Justice Realignment Bill into law on April 5, 2011. CHAPTER 15. 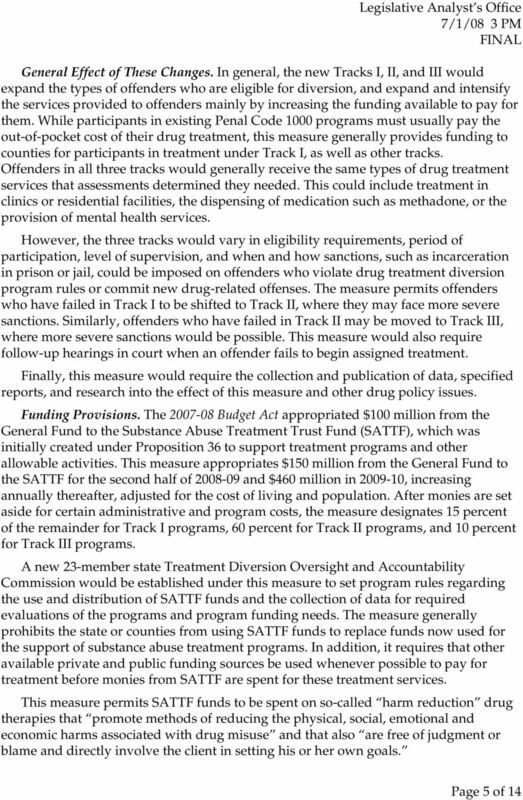 AN ACT concerning rehabilitation of drug and alcohol dependent offenders and amending N.J.S.2C:35-14 and N.J.S.2C:35-15. 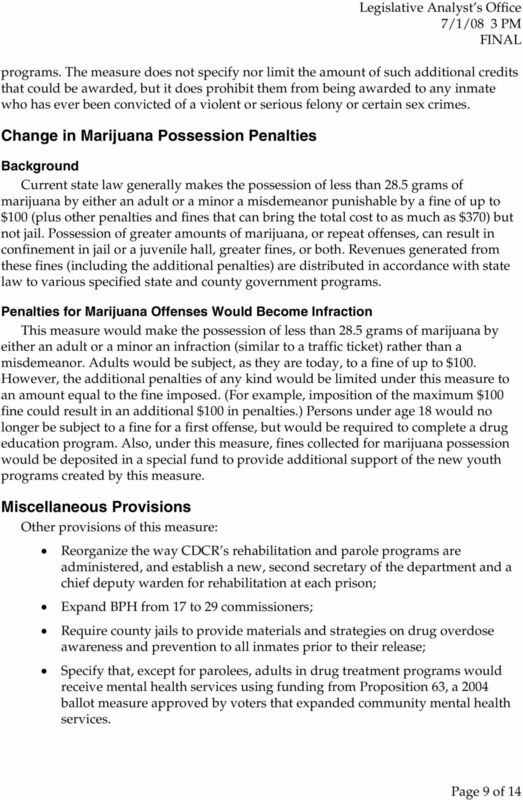 Chapter 938 of the Wisconsin statutes is entitled the Juvenile Justice Code. 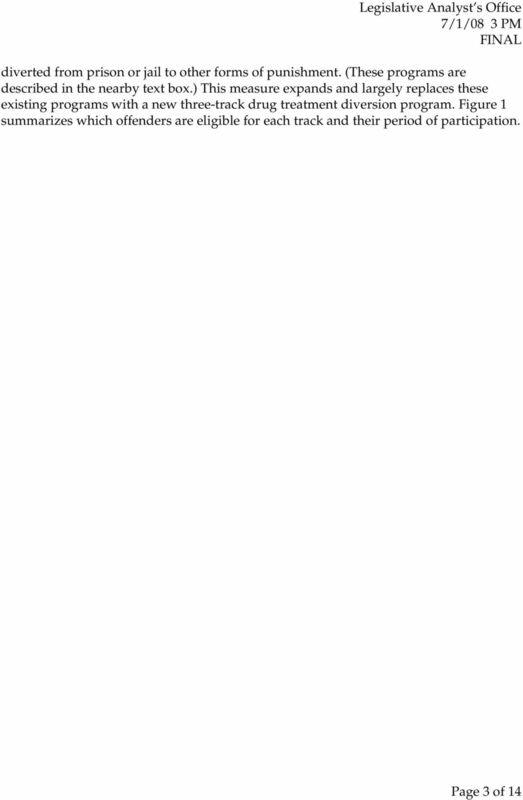 SHORT TITLE: Criminal procedure; creating the Oklahoma Drug Court Act; codification; emergency. 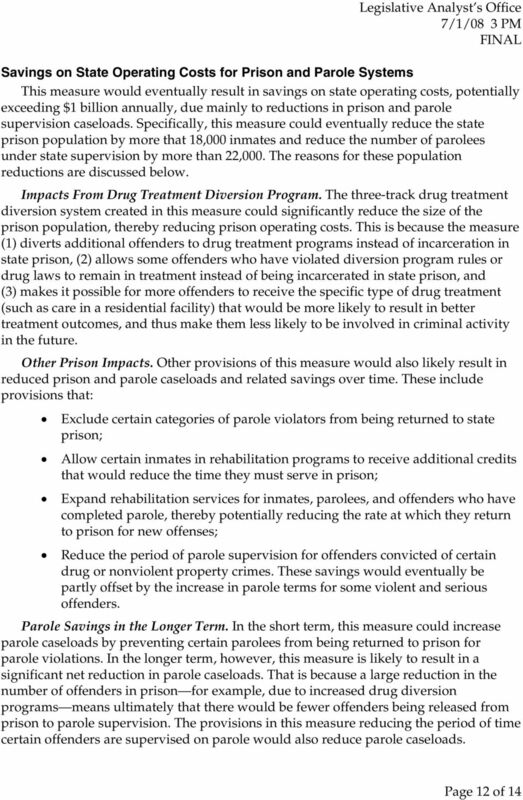 2011 REGULAR SESSION HB 463 PENAL CODE AND CONTROLLED SUBSTANCES LEGISLATION Full text of the bill: http://www.lrc.ky.gov/record/11rs/hb463. CRIMINAL JUSTICE GLOSSARY ACQUITTAL: a judgment of a court, based either on the verdict of a jury or a judicial officer, that the defendant is not guilty of the offense(s) for which he or she was tried. 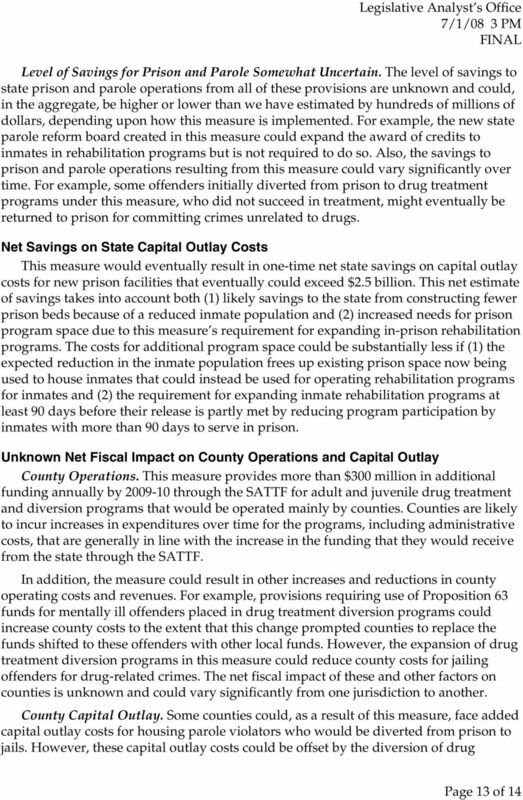 CORRECTIONS (730 ILCS 166/) Drug Court Treatment Act. Ch. 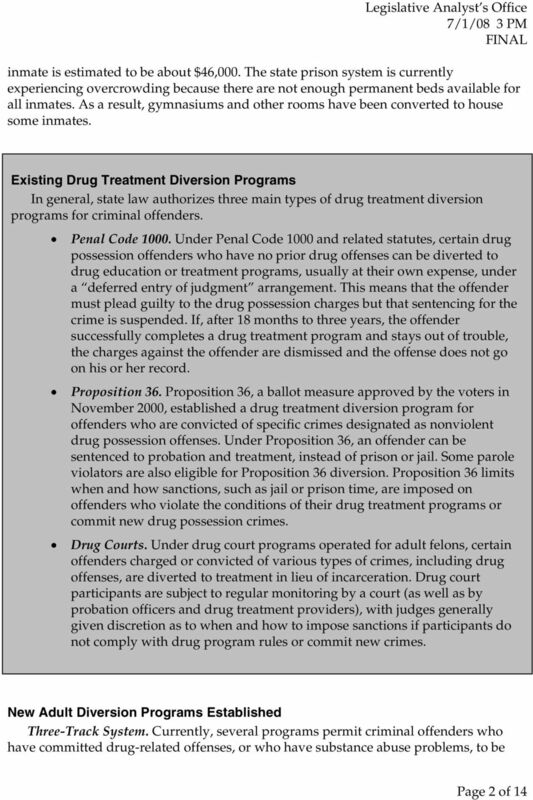 97 DRUG OFFENDER TREATMENT PROGRAM 37 CHAPTER 97. 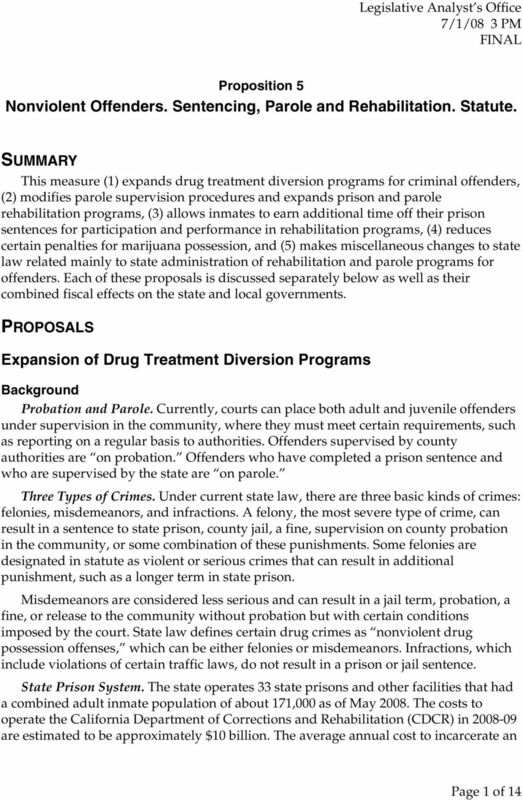 STATE INTERMEDIATE PUNISHMENT DRUG OFFENDER TREATMENT PROGRAM Sec. 97.1 97.17. [Reserved]. 97.101. Authority and purpose. 97.102. Definitions. 97.103. Filed 3/1/16 CERTIFIED FOR PUBLICATION IN THE COURT OF APPEAL OF THE STATE OF CALIFORNIA SECOND APPELLATE DISTRICT DIVISION EIGHT THE PEOPLE, Plaintiff and Appellant, v. B264693 (Los Angeles County Super. What you don t know can hurt you.